Gareth has a look at a Chromecast alternative sent over by GearBest. At half the price of the Chromecast could this be an even bigger steal? Gareth thinks so! 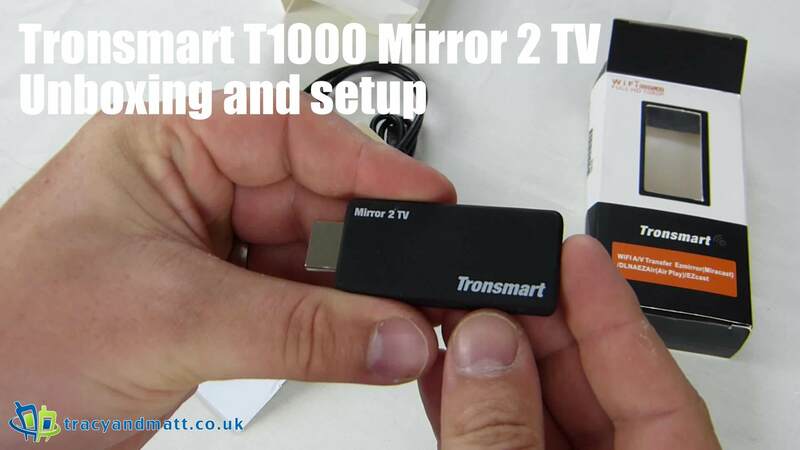 Tronsmart Mirror 2 TV (T1000) casts video, audio, photos, MS office files, PDF files, games, etc to HDTV or projector wirelessly. It can mirror whatever shown on the screen of your smartphone, tablet, notebook, PC to your HDTV or projector. Overall, it is a useful tools for your home multimedia entertainment, also a powerful tools for your office presentation.